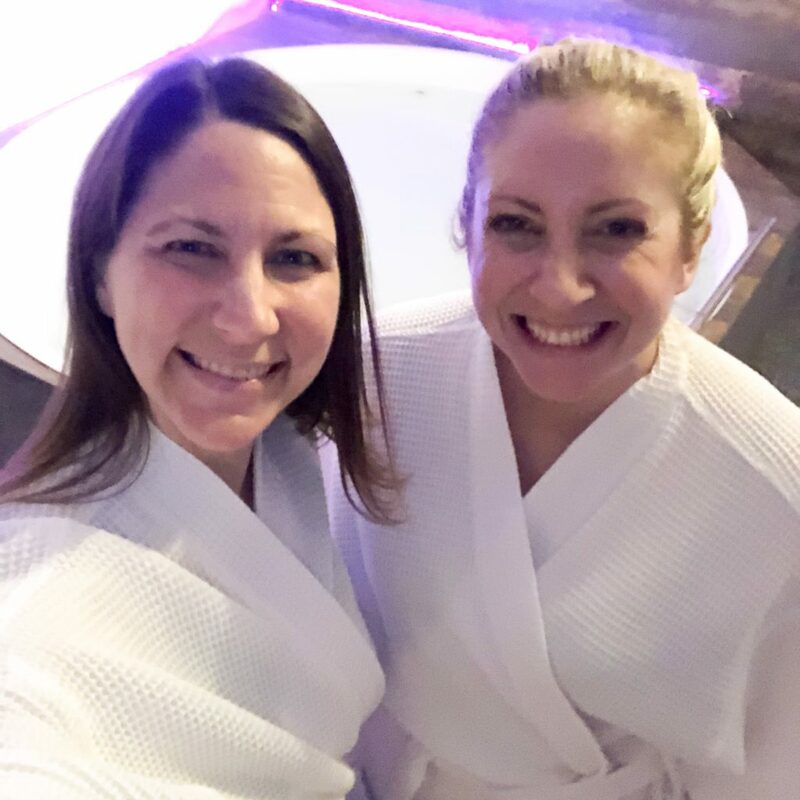 Recently, Liz and I went down to Murfreesboro for a fun spa date field trip. 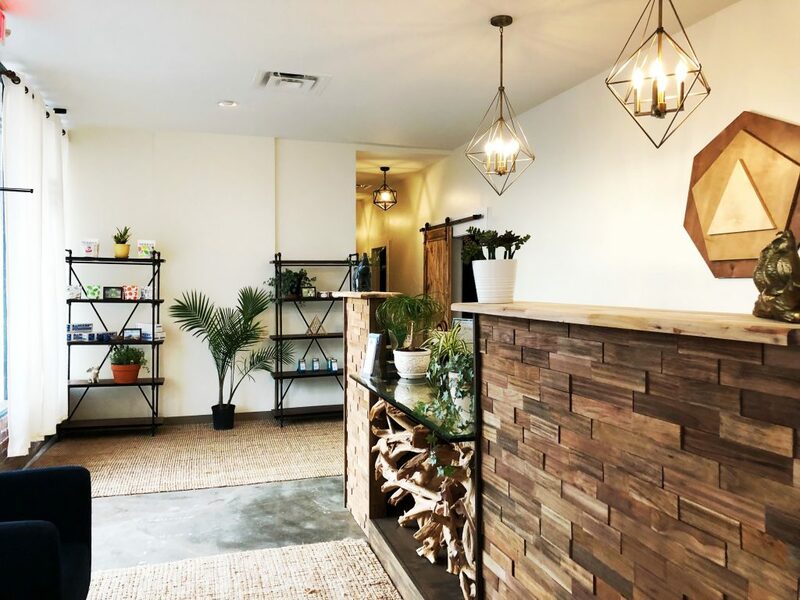 She treated me to a 1-hour float tank session and a 40-minute sauna session so I could learn more about Float Alchemy, one of our long-time/repeat clients. Let me start out by saying – IT WAS AMAZING. 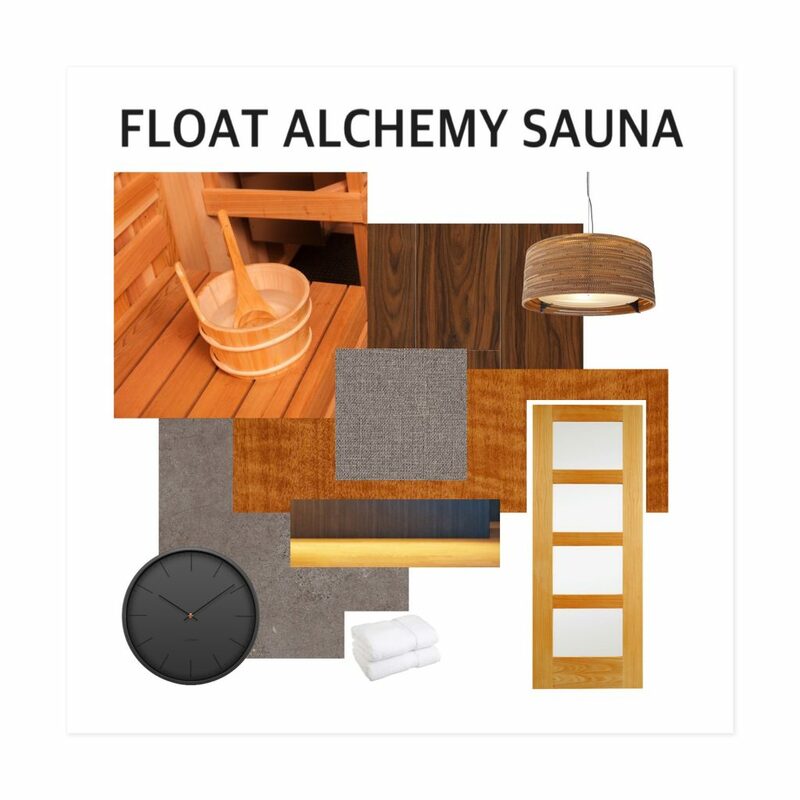 In this post, I wanted to highlight my experience as a first-time float client and the aesthetics that were used to create Float Alchemy. Float Alchemy’s building was originally an Amish furniture warehouse. 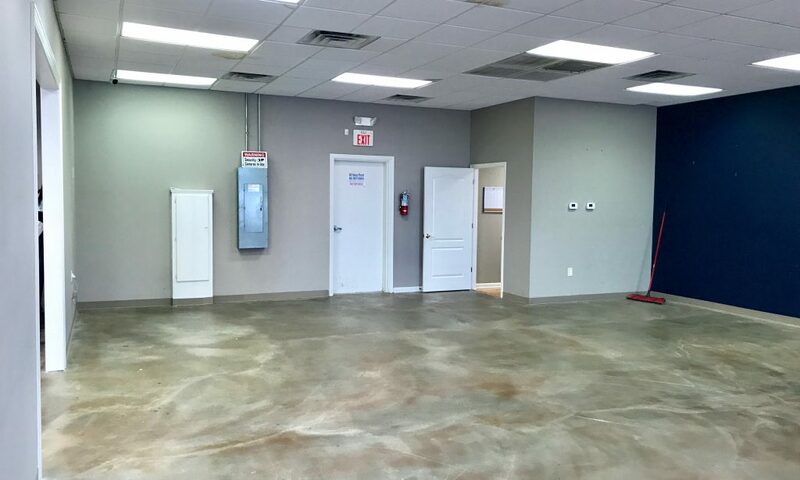 After the furniture was cleared out they started with just a large rectangular box of a building. 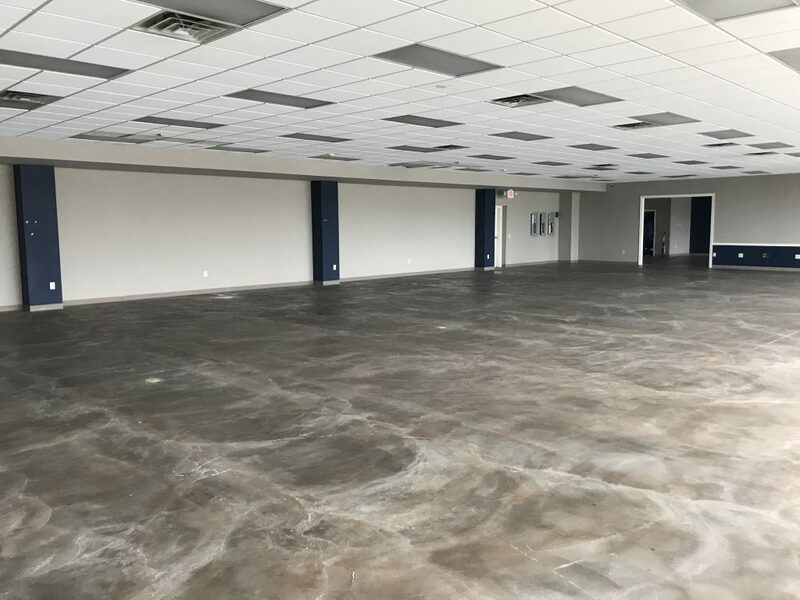 You can see a couple of before photos here. 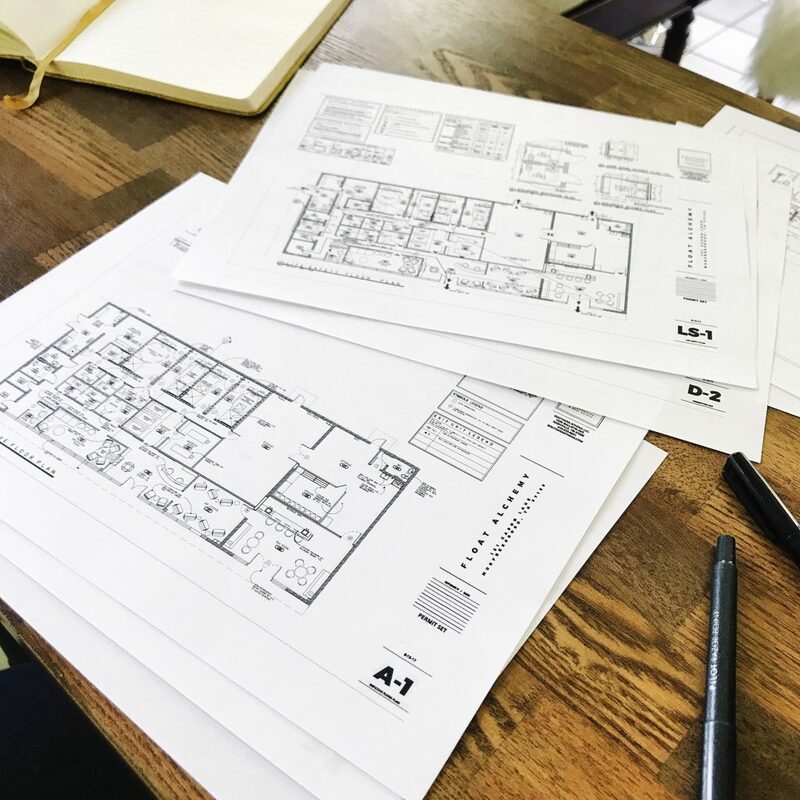 Liz, our Principal Broker and Licensed Architect, worked diligently on finding and negotiating their lease (read more about their leasing process here) and space-planning the existing structure to make sure that it flowed well, was up to the local codes, and was able to fit in all of the therapy components needed to operate their full service wellness center. 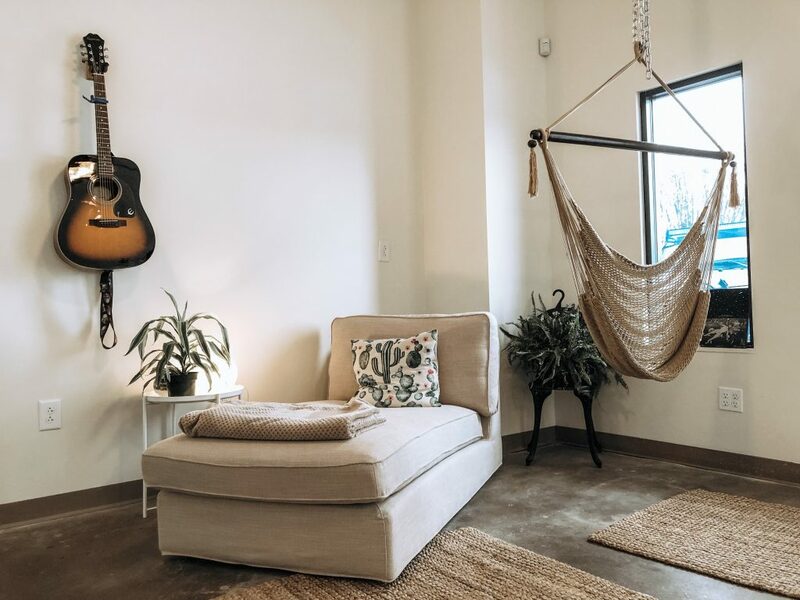 Thankfully, Liz was involved with Mark and Amy since they opened Float Nashville, and was an integral part of getting Float Tank Therapy approved in the state of Tennessee. Just think about things like how the water would be filtered, and so on…. 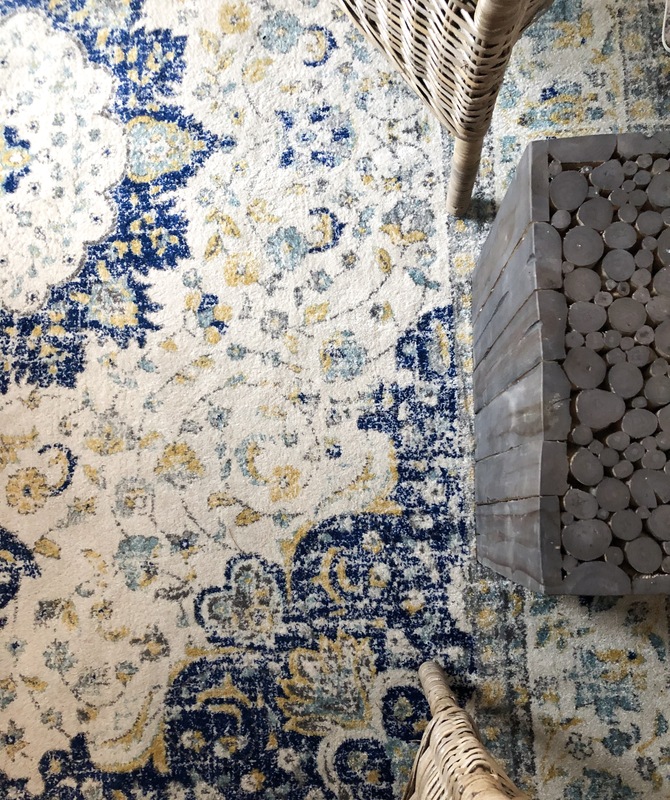 She worked with them on all of the details down to the paint color scheme, idea boards, furniture selections, layout, and all-around feel for each space. 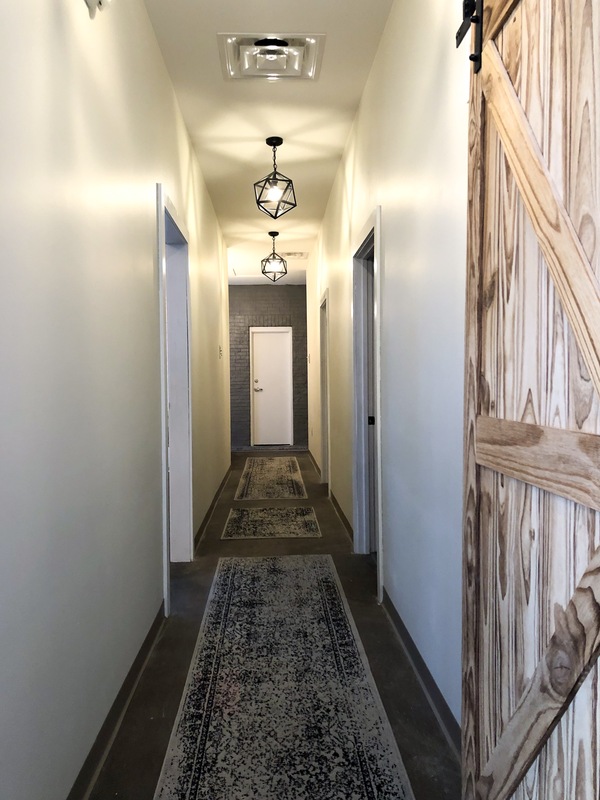 When you first walk in the door, you can already tell you are walking into a space that is going to be relaxing and that they are there to help you get the most from whichever session you have signed up for. We came earlier than our set appointments so that Liz could show me around and I could get a sense of what they had done in the remodel. 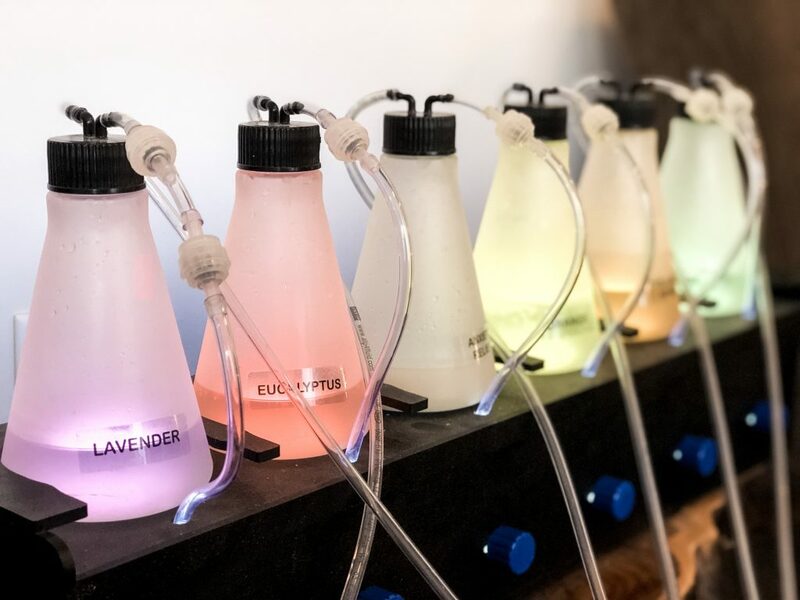 Guests were at the front desk being checked in for appointments, so we walked from the lobby through a room that had an oxygen bar (flavored oxygen) with a lounge and then continued into the adjacent kombucha tap room. This was a really interesting part for me because I had never tried kombucha before! 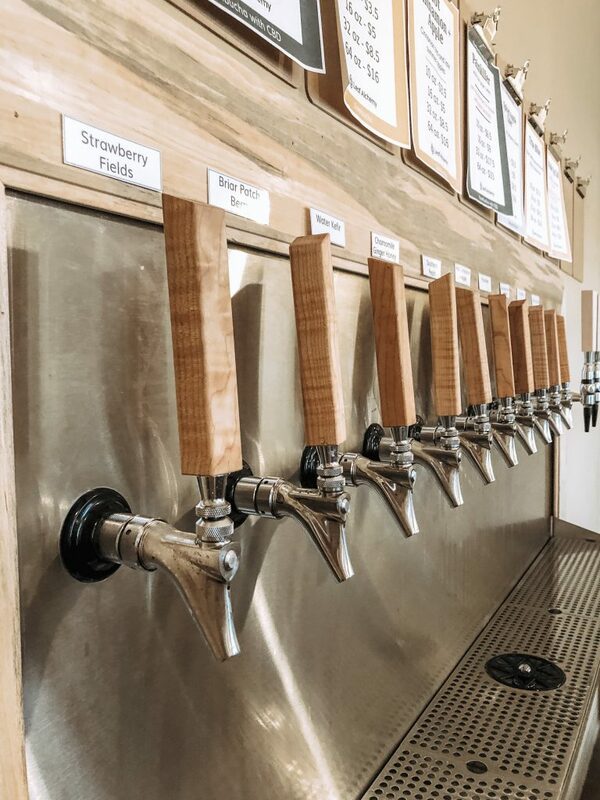 Float Alchemy’s tap room is self-serve and you can purchase one of many flavors and different serving sizes. The employee helping me was very knowledgeable about the kombucha being offered that day and I appreciated the time she took with us to explain each one. 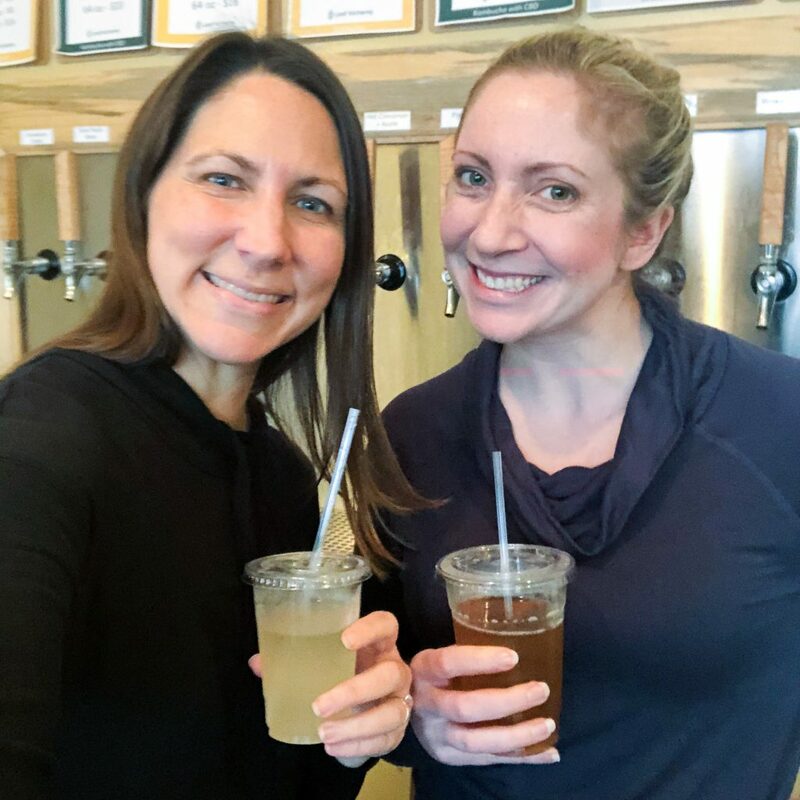 Liz and I taste-tested every single flavor so I would have a great idea of what good kombucha tastes like. I liked all of them! I ended up purchasing 2 growlers of two different mixtures to have at home. After hanging out in the tap room for a little while, we went to grab some lunch and then came back for our appointments. We both started out with a float tank session. Liz had already done a float tank session in an enclosed tank before, so this time she tried out the open tank float experience. You can kind of see it behind us in the photo below. It’s like a small round open pool. If you have never tried a saltwater float tank, you are missing out. 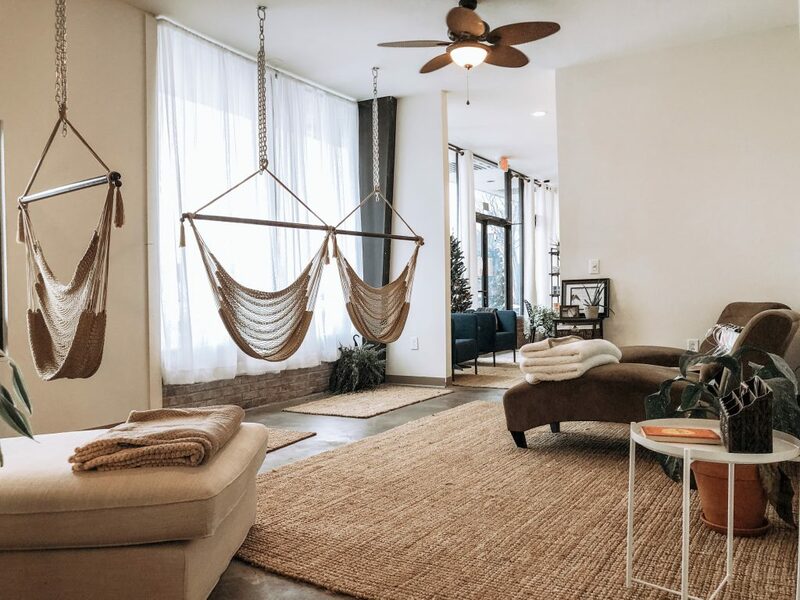 In addition to the actual relaxation & health-related sessions you can choose from, the atmosphere and aesthetics were so perfect for winding down once you walked inside. 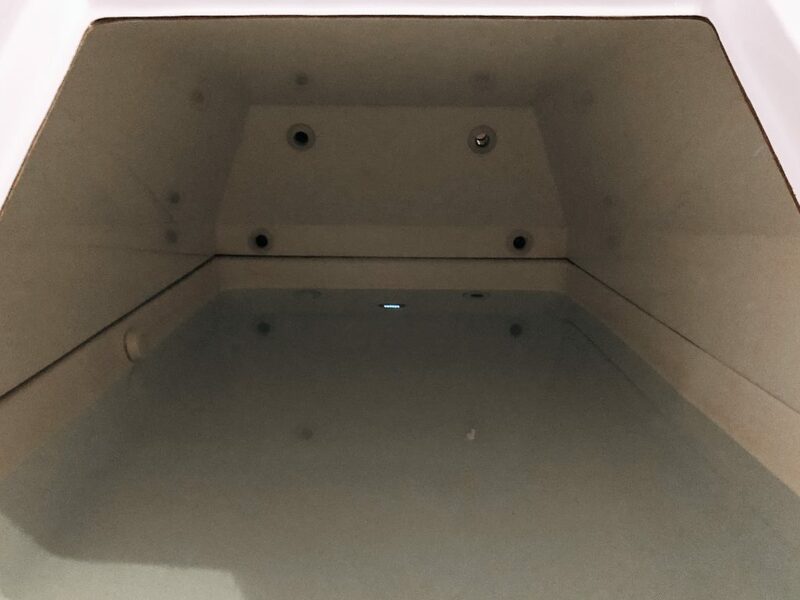 I did a fully enclosed float tank session and I loved it! They give you a bath robe, waterproof slippers, and take you to the float tank room. Inside your private room is an open shower where you first take a shower to make sure you are clean before you enter the float tank. They leave you a little kit in the room for you and it has things like wax ear plugs, cotton swabs for your ears, vaseline to cover up any cuts (those could stink in the saltwater), and a makeup remover wipe. The owner, Mark, explained to me what to do and showed me each thing in the kit before he left me to get ready. He also explained that there were 1,000 pounds of salt in that tank I was about to climb into. Wow! He said to definitely wear the ear plugs because the salt gets everywhere. I’m so glad that I followed instructions because later I would find out how much salt he meant. He told me that once he left the room, he would turn on music for 8 minutes to give me time to shower and get ready to enter the salt tank. Once the music turns off, that means that your 1-hour session time has begun. Of course, I was so excited to see how this whole floating thing worked that I was ready in less than 8 minutes. Upon entering the tank, it got weird and wonderful all at the same time – ha! 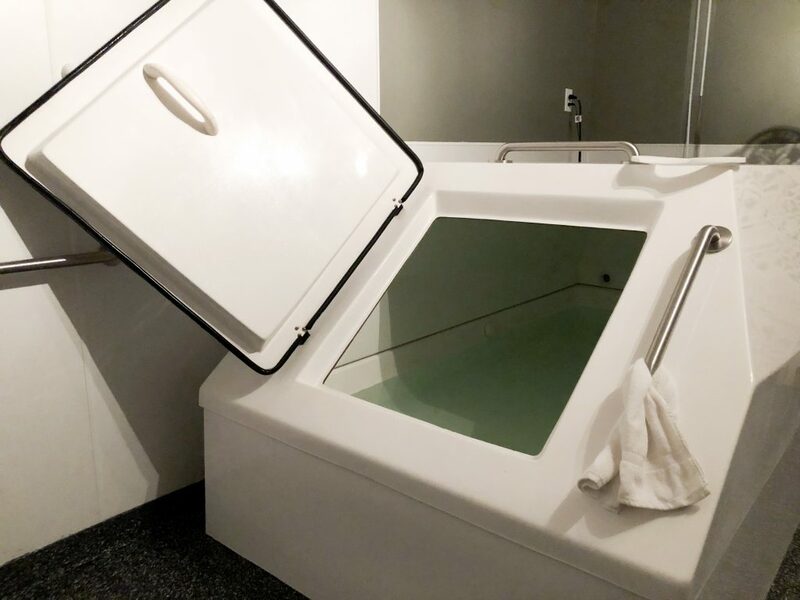 I climbed in the tank and knew that I wanted to get the entire experience, so I closed the door on the float tank so I was fully enclosed in it. There is a light button under the water on one wall that you can turn on for a very soft glow so it’s not totally pitch black. The sensation of entering the water with so much salt is so bizarre. It makes you float immediately, so it was a very different feeling than walking into a regular pool of water. I laid on my back and took a little while to get used to the floating sensation. After a few minutes, I turned the light off….and then promptly panicked for a second. I only panicked because I reached out to turn the light on again and I couldn’t find it. It was the craziest feeling to not know which way the door was or which way your head was pointing because while you’re floating you are absolutely weightless. I couldn’t tell if I had floated in a circle or hadn’t moved at all. Such a different feeling. I reached up and found the door and opened it and instantly laughed at myself when the light flooded in. I regrouped my mindset and went back in, closing the door behind me and floated for a little while with the light on – making sure I understood how my body floats in the saltwater. At this point, I made the mistake of reaching my hand up to scratch my face and even though I was careful, I still managed to get a drop of saltwater in my eye….yikes! Back to the door I went to reach out and grab the towel hanging. I got my eye cleaned out and comfortable and went back in. I think it was probably 30 minutes in when I turned the light off again and floated in complete darkness. And guess what? I fell asleep while FLOATING IN A POOL OF WATER. It was absolutely relaxing and I can’t wait to do it again! I had read on their website how it can take up to 3 sessions to learn how to fully relax and I believe it. Thankfully, I was able to get myself to total relaxation in this first session, but I can see how it may take some people a little while to fully give in to the weightless feeling. Even though I had the slight panic moment and got the salt in my eye, I would definitely do this again in a heartbeat. Totally worth it, I just had to learn a few things in the process. I woke up when the music started softly playing again as my hour was up and slowly climbed out. My hair was so heavy from all of the salt, but I showered quickly and pulled my robe back on. At this point, I was ready for another nice long nap. Thankfully, I was headed to my personal sauna session next. I had never seen one that wasn’t a sauna box, so this was another neat surprised. It is a dome sauna which I really appreciated because I can feel claustrophobic in a box sauna where you are also breathing in the heat. In this dome sauna, your head sticks out and you are breathing the warm room temperature air. I had signed up for a 40-minute session in this sauna, but I turned it off and crawled out after 35 minutes. I couldn’t do it one minute longer, but while I was in there, it was so perfect. You can control your temperature with the push of a button which was very nice. 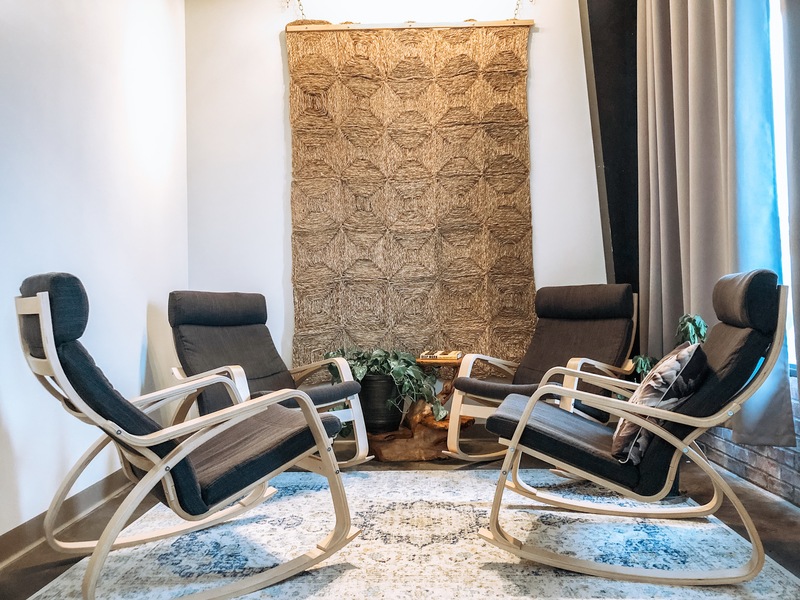 Once you are done with your sessions, there is a very relaxing lounge that you can go hang out in for as long as you need. Some people nap, some read, some meditate, etc., but I needed to drive back to Nashville right after my sessions so I didn’t get to take advantage of that space. 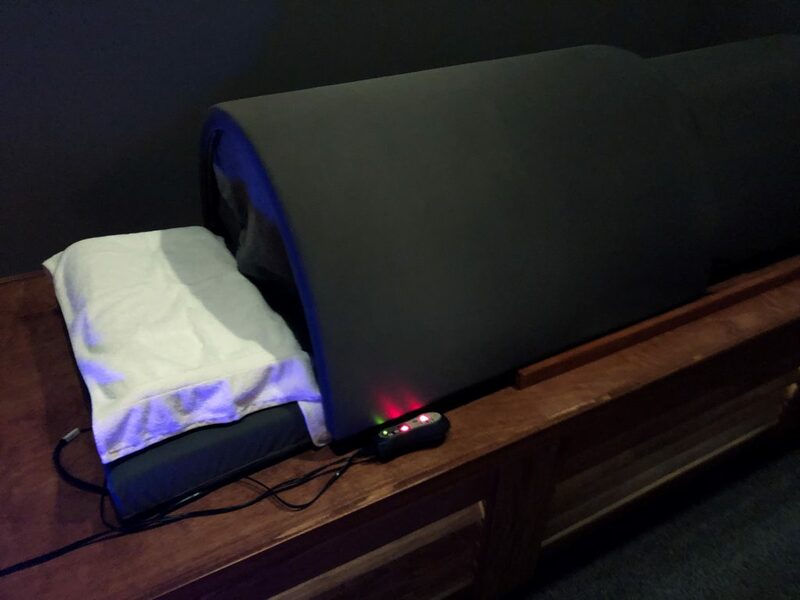 I know that Liz also had added a massage to her day to create a trio of sessions (float, massage, sauna – which by the way is highly affordable to do the trio) and she took some time to relax in the lounge when she was done. 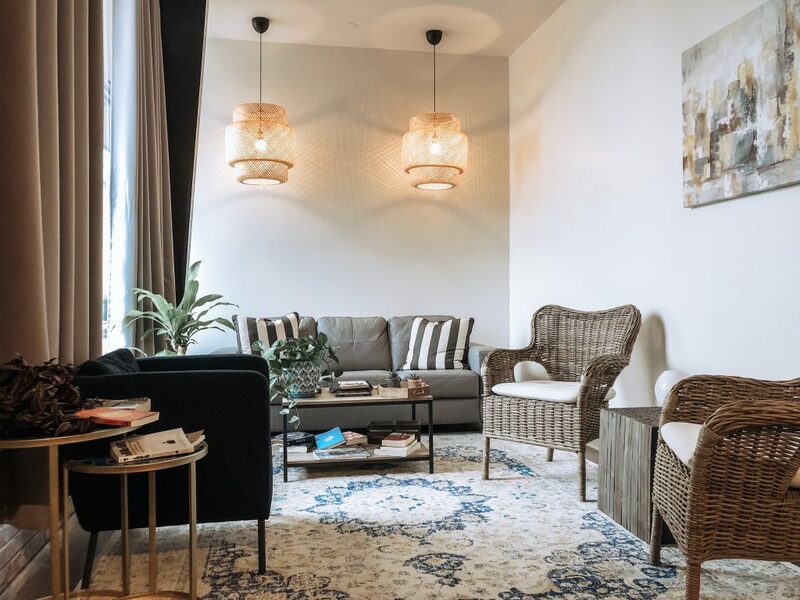 The entire space has a very natural and relaxing feel thanks to the colors, the materials, and the decor that Liz helped them choose for the rooms. 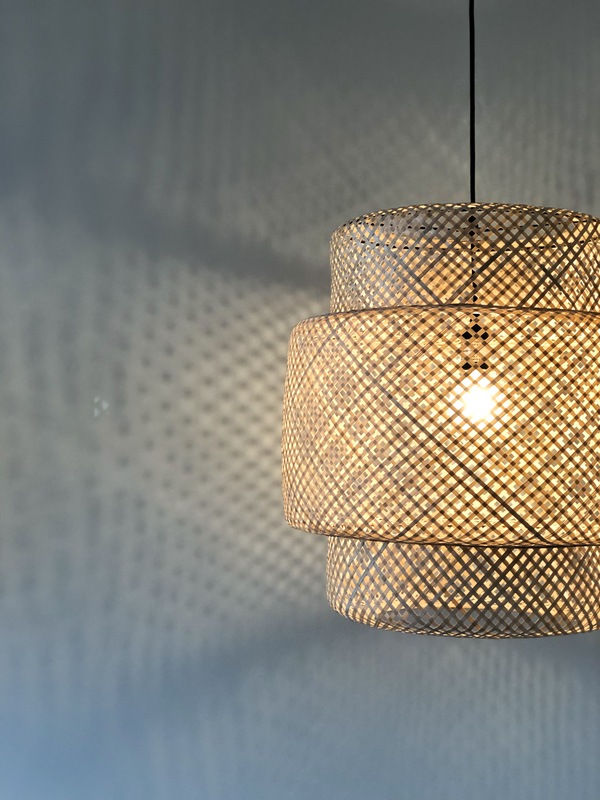 You can see this in the light fixtures, rugs, wall colors, chairs, and even the reception desks that were used. If you haven’t been there, go book a session (or two or three)! The prices are amazing and it’s perfect for a bridal party gift, a mother-daughter spa day, a gift for your spouse and yourself, or anyone who enjoys wellness. 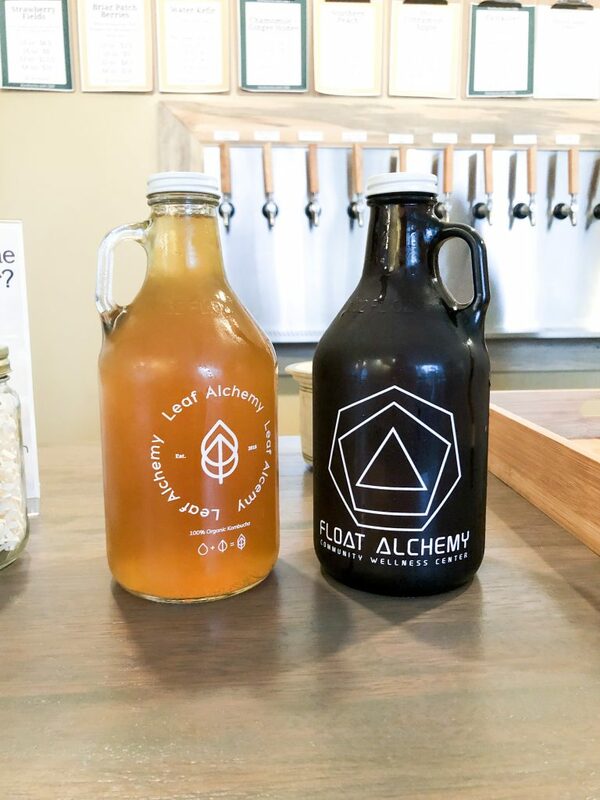 Come back and let us know what you think or if you have ever floated before at one of their locations: Float Alchemy or Float Nashville. Happy floating!